This year, Fortum Foundation awarded 39 research projects with a total value of 695,830 euros. The scholarship distribution event took place on Monday, 21 August 2017 in Fortum's head office in Keilaniemi, Espoo. “In order to be the winner in the future energy market, we need to tackle the coming challenges on several fronts. We can’t do this alone; we want to join forces with the best experts and institutions, the best scientists and researchers. And that is why we are here today. 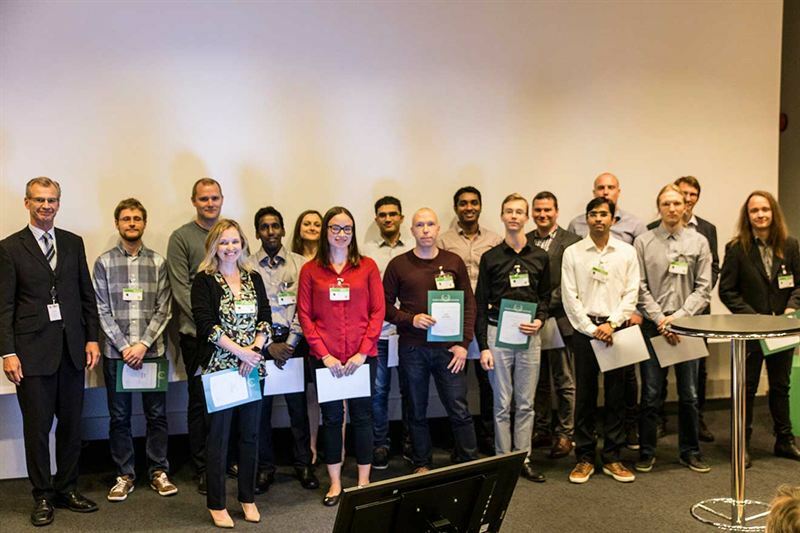 Fortum Foundation's awards and scholarships are one important way for us to support research, education and development within the energy industry”, said Pekka Lundmark, the chairman of Fortum Foundation board. The Foundation's purpose is to support research, education and development in natural, technical and economical sciences within the energy industry. The Foundation's focus areas within the energy industry are energy production and use, as well as clean energy solutions for traffic. Fortum is a leading clean-energy company that provides its customers with electricity, heating and cooling as well as smart solutions to improve resource efficiency. We want to engage our customers and society to join the change for a cleaner world. We employ some 9,000 professionals in the Nordic and Baltic countries, Russia, Poland and India, and 62% of our electricity generation is CO2 free. Fortum's share is listed on Nasdaq Helsinki www.fortum.com.